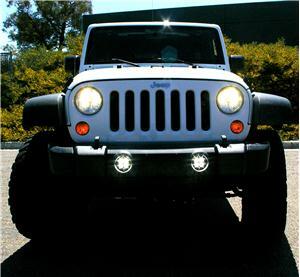 This kit allows for the Baja Designs Squadron 3" x 3" LED to be properly mounted into the fog pockets of a Jeep JK, this kit only works with a JEEP JK. 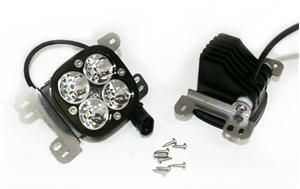 Our Squadron 3 x 3 light is the next generation of LED lighting! This kit packs 7,200 Lumens that will truly annihilate the night. The Squadron exceeds HID output yet weighs only 12oz. Uses active Thermal Management, Single Layer Solid Core Copper Circuit Board and aircraft grade aluminum housing that maintains LED temperature within the defined operating limits. 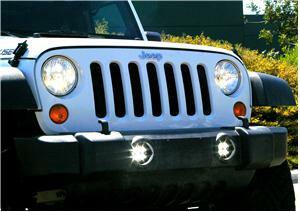 If you re looking for the ultimate in LED lighting technology the Baja Designs Squadron is your answer! Stainless steel fasteners and mounts.